The successful job search all boils down to one word -- synergy. Synergy explains the difference between John, Paul, George and Ringo (individual musicians) and The Beatles (a magical combination). Most job seekers apply for positions haphazardly -- sending out an email resume for this opening, a printed resume for that one, sometimes following up and most often not. But you’ll get far better results -- and create synergy -- if you first write out a job search calendar, to schedule your efforts over the next 60-90 days. Then, follow your plan and systematically use as many tactics as possible for each job you apply for. Organizing your efforts this way will focus your job search, like sunlight through a magnifying glass. Here’s how to create synergy and job search magic, in 5 easy steps. You can do so by picking a job title (example: Sales Manager) or skill set to shoot for (example: sales, marketing, management). 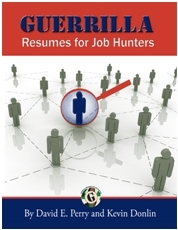 No target job = no results in your job search. Because you can’t score if you don’t have a goal. Step 3 -- Plan your work. Create a job search calendar. This time of year, you can get free wall calendars from many stores and businesses. Any calendar will do, so long as there’s room to write brief notes for each day. Map out the next 30-90 days with specific goals for every day, such as visiting 5 Web sites, calling 10 networking contacts and mailing 7 resumes. Step 4 -- Work your plan. Step 5 -- Fail your way to a new job. Every “no” you hear in your job search is another step closer to the one “yes” you need to get that position you really want. It’s simply a numbers game. Take heart in this fact. Action Step: By following this five-step formula, you can create synergy, magic and the job offer you’re dreaming about.